These are the terms and conditions (“Terms”) governing your access and use of the services and content offered to you on this web site, MPC-Tutor.com (“Site”). 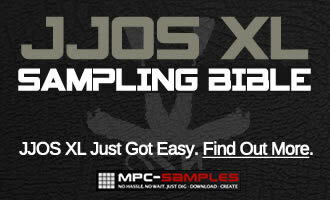 This Site is operated by Beat Box Digital LTD, trading as MPC-Tutor.com (hereinafter referred to as “we”, “us”, “our” or “MPC-Tutor”). Any reference to “you”, “yours” and “Users” is referring to you, the user of the Site. By using the Site and/or placing an order, you accept the Terms and agree to be bound by them. The Site is an e-commerce web site primarily selling digital products (“Digital Products”) from a selection of different publishers (“Publisher”). When You make a purchase of an electronic book (“Book”) from MPC-Tutor You are purchasing a License to use the Book within a set of terms as specified by the Publisher. The following Ebook License applies for all Book purchases unless otherwise stated to the contrary in the Book download itself. The Publisher grants You a non-exclusive, non-transferable License to privately view the content of the Book on any device You own. You may print a paper copy of the Book for Your own personal use only. You may not re-publish, sub-license, re-sell nor re-distribute the Book (or parts of the Book) in any shape or form, nor can You transfer Your License to any third party. Any audio files provided with the Book are for demonstration purposes only and cannot be used in any commercial musical composition without the express permission of the Publisher. Before making a purchase you may be given an opportunity to download some example content from the Product. This content is provided purely for evaluation purposes only. This content cannot be redistributed nor republished without the Permission of MPC-Tutor. Digital Products – all digital product are delivered ‘digitally’ by providing you with a download link to your email address after a successfully authorised purchase. To download Your Product, simply click on the link provided in the email. We are not able to send you any digital products on physical media, nor are we able to provide a paper version of any electronic books that we sell. Download links expire after 14 days from initial purchase; as such we strongly advise that you backup your purchases on your own privately managed backup system. Please note that in order to preserve resources and to ensure Our Site operates efficiently for all Our customers, We operate a ‘fair use’ policy with respect to the number (and nature) of any access attempts made on any download link and as such We reserve the right to disable, with immediate effect, any download link that We consider to be exhibiting excessive or unusual behaviour. Digital Products (EU & UK consumers only): If you are a consumer based in the UK or any other EU country, your purchase is likely to be covered by the EU Consumer Rights Directive (CRD). If this is the case, then if you have not yet made a download attempt on your order (i.e. you have not ‘clicked’ a download link), we can offer a refund or exchange within the first 14 days after purchase. If you have already made download attempts then We assume that you have accepted that you are waiving your right to cancel the transaction and hence no refund or exchange is possible. Please ensure you check the listed compatibility guidelines on the product page before purchasing as it shall be your own responsibility to ensure that any Products, services or information available through this website meet your specific requirements. If you are having difficulties downloading your purchase, or feel there is aa technical issue with the product, please contact us and we’ll be happy to assist further. Digital Products (Customers outside of the EU and UK/EU business customers): If you have not yet made a download attempt on your order (i.e. you have not ‘clicked’ a download link), we may be able to offer a refund, exchange or credit note. In such cases We reserve the right to apply a 15% administration charge on all refunds (not applicable to exchanges). If you have already made download attempts then refunds and exchanges are given completely at the discretion on MPC-Tutor; we therefore urge you to read all product information carefully and download the demonstrations of each product before purchase. It shall be your own responsibility to ensure that any Products, services or information available through this website meet your specific requirements. If you are having difficulties downloading your purchase please contact us and we’ll be happy to assist further. We reserve the right to remove any Product from our catalogue, at any time, at our sole and absolute discretion and without any prior warning or notice to you. Should you need to, you can return to our site at any time to re-download the files. For security reasons we log all file access including your computer IP address, referring URL and browser details and also make detailed logs of all download attempts. 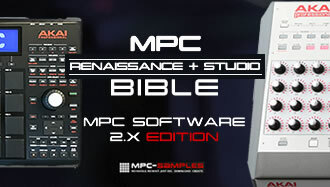 All Products are tested in the current official operating system version for your MPC, unless otherwise stated. We do not guarantee compatibility of Products with older OS versions, as these may contain bugs or not support the techniques used in your Product. The Site is supplied to you on an “as is” basis and we make no warranties, express or implied, with respect to the Site whatsoever (including without limitation regarding their satisfactory quality, fitness for a particular purpose, suitability, reliability, timeliness, accuracy, completeness, security or that they are free from error) unless specifically set out in these Terms. We are unable to guarantee error-free use or access to any part of the Site. Any redistribution or reproduction of part or all of the contents of the Site in any form is prohibited. During customer account registration you will be asked for a password to access any pages for which registration is required. You are solely responsible for all actions that occur as a result of access to the Site via your password. It is your sole responsibility to ensure the security of your password. Any breaches of these Terms by someone to whom you disclose your password to will be treated as a breach by you. If your password becomes known to any unauthorised user you must notify us immediately. We reserve the right to change your password at any time in our sole and absolute discretion. This website contains material which is owned by or licensed to us. This material includes, but is not limited to, the design, layout, look, appearance and graphics, demonstration audio and ebook files and all Products and their associated materials. Reproduction is prohibited without the express permission of MPC-Tutor. Your access to the Site and any action you carry out on the basis of data or information you obtain from or via the Site (including any transaction you make for the supply of Products to you) is carried out entirely at your own risk and we accept no liability for any losses that you may suffer as a result. The inclusion of links on the Site to third party sites not controlled by us does not imply any endorsement by us of such sites. We do not control such web sites, and are not responsible for their content. Users access these third-party sites at their own risk. The information contained in this website is for general information purposes only and is subject to change without notice. The information is provided by MPC Samples and in some cases by third parties, and whilst we endeavour to keep the information up-to-date and correct, we make no representations or warranties of any kind, express or implied, about the completeness, accuracy, reliability, suitability or availability with respect to the website or the information, products, services, or related graphics contained on the website for any purpose. You acknowledge that such information and materials may contain inaccuracies or errors and we expressly exclude liability for any such inaccuracies or errors to the fullest extent permitted by law. Any reliance you place on such information is therefore strictly at your own risk. You acknowledge that we are unable to exercise control over the security or subject matter of third party content transmitted or accessible via the Site and we exclude all liability of any kind for the transmission or reception of illegal or unlawful content. The Internet is not a secure environment. Unwanted programs or material may be downloaded without your knowledge, which may give unauthorised persons access to information stored on your computer. These programs may perform actions that you have not authorised, possibly without your knowledge. We accept no liability for any loss or damage resulting from your use of the Internet and/or third party web sites or content accessed via the Site. MPC-Tutor’ total liability in contract, tort (including negligence or breach of statutory duty), misrepresentation or otherwise arising in connection with goods or services provided to you shall be limited to the price of goods paid by you to MPC-Tutor. MPC-Tutor reserves the right at all times to disclose any information as MPC-Tutor deems necessary to satisfy any applicable law, regulation, legal process or government request. We may suspend the operation of the Site at any time, for any reason. If we suspend your access to the Site to investigate or prevent a potential breach of these Terms, these Terms shall continue to apply during any period of suspension. We may terminate your access to the Site at any time and for any reason we see fit in our sole and absolute discretion. If we terminate your access to the Site, we may delete all information and other data that you have stored on the Site. Termination shall not affect the accrued rights and liabilities of either you or us. We may amend the Terms at any time by posting the amended terms on the Site, and all amendments shall supersede this Agreement and be effective regarding your use of the Site immediately upon entering it. As such, you should check the Terms each time you use the Site. These Terms are governed by the laws of England, and subject to the non-exclusive jurisdiction of the English Courts.